Are your BJJ Kids hungry for more knowledge? 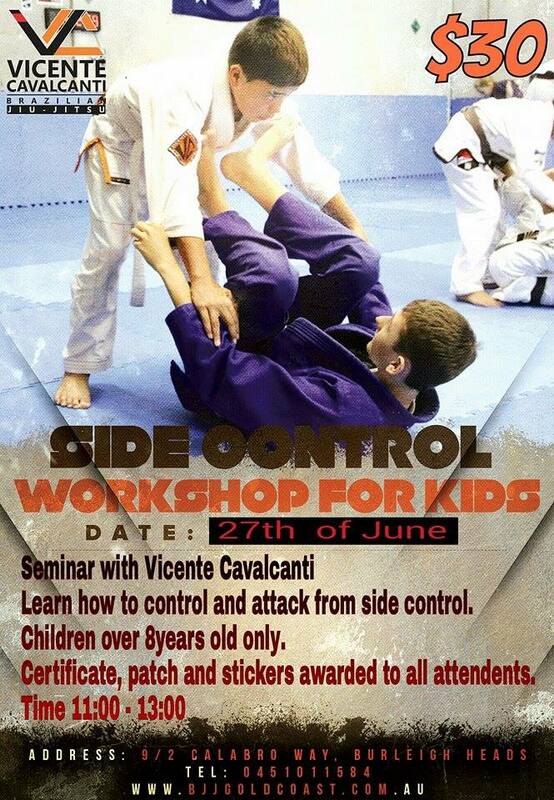 Come along to our Side Control BJJ Kids Seminar on Sat 20th June. Bring them along to the Saturday BJJ Kids Seminar so that they can sharpen up their side control techniques, before the QLD Championship! All parents are welcome to come along to watch their child train with students from other gyms from around the Gold Coast and surrounding areas.